Who Exactly is Felicity Blunt – Wife of Stanley Tucci and Sister To Emily Blunt? It could be surprising that most celebrities who have celebrity siblings aren’t famous because we have gotten used to a lot of celebrity siblings such as the Bridges, the Kardashians and the rest of them who spurred to fame alongside their family members. So, imagine the surprise to discover that Emily Blunt and Felicity Blunt are both sisters. Unlike the former who is famous as an actress, the latter has kept most details regarding her life under lock and key. That’s not all, Felicity is the wife of Stacey Tucci and mother and stepmother to his five children. Now I guess you are wondering, who exactly is this woman? Well, you can only find out more about her by reading this article. Who Exactly is Felicity Blunt? The exact date and month that Felicity Blunt was born are not known, however, sources say that she was born in 1982 in London, United Kingdom. She is the older sister of the famous actress, Emily Blunt and is currently making earning her income, working as a talent manager. Her mother is Joanna Blunt, an actress and teacher while her father, Oliver Simon Peter Blunt, is a barrister. Apart from Emily, she has other siblings; Sebastian and Susannah Blunt. Her grandfather was Major-General Peter Blunt, and one of her paternal uncles is Crispin Blunt, Conservative Member of Parliament for Reigate. There are no details of her educational strata but we know that she sure went to one of the best institutes in the world. Also, her skills as a writer have established beyond reasonable doubts that she is a brainiac. 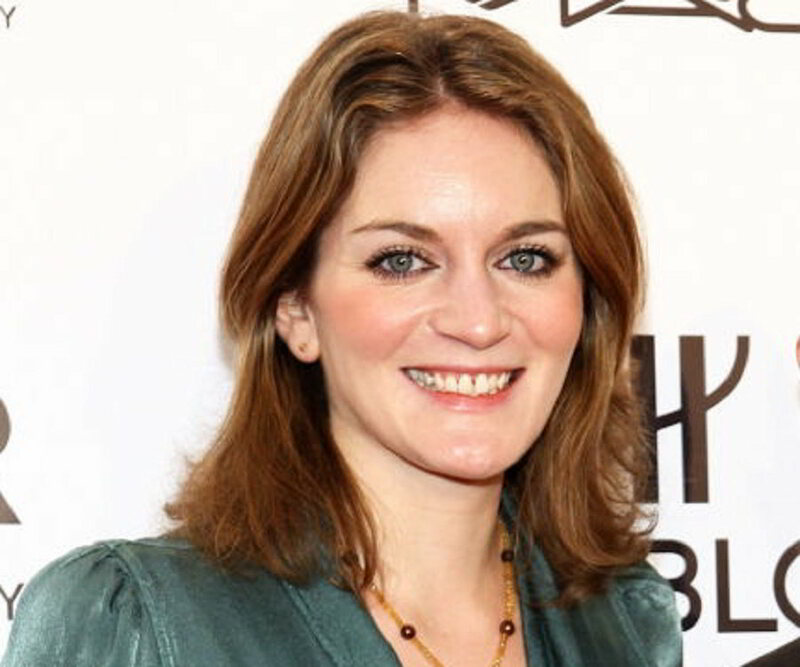 Felicity Blunt is a literary agent at Curtis Brow; a UK based publishing house and also trained as a barrister. Her works at Curtis Brown are basically written on thrillers, suspense crime, historical, literary fiction and cookbooks. She is an avid social media user and has also used the platform in advertising most of her several works. Felicity Blunt got married to Stanley Tucci sometime in 2012 after the pair met at her sister’s wedding at the Lake Como home of George Clooney in 2010. They dated for two years before deciding to make it all official. Their wedding was a well-publicized, with many guests like Meryl Streep, Julianne Moore, Steve Buscemi, and a lot more others in attendance. Three years later, the couple welcomed their first child, Matteo Oliver and subsequently welcomed their daughter, Emilia Giovanna Tucci in April 2018. 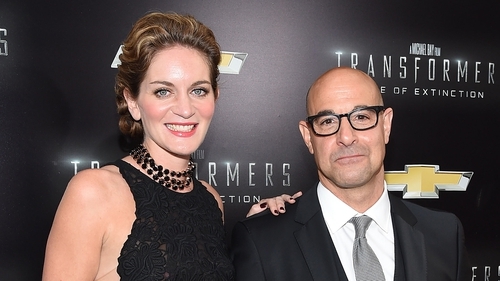 Meanwhile, Stanley Tucci was initially married to a lady named Kate who died of breast cancer in 2009. With her, he has three children; Camilla and a set of twins, Nicolo and Isabel. Currently, Felicity plays as a perfect mother to all of his children. Everyone knows Stanley Tucci as an American actor, writer, producer, and film director who has three Emmy awards to his name and was also nominated for an Academy Award for Best Supporting Actor for his performance in The Lovely Bones (2009). He was born on the 11th of November 1960 and was raised in Katonah. He is the oldest of the three children born to his parents are Joan and Stanley Tucci Snr. He bagged his first role in 1985 three years after he graduated with a degree in acting from SUNY Purchase. Ever since then, he has starred in over 40 movies as well as over 25 television drama series. He has also gone ahead to write two books, The Tucci Cookbook, and The Tucci Table: Cooking With Family and Friends. Aforementioned, Felicity Blunt is the older sister of the English-American actress, Emily Blunt. From most of her uploaded pictures on her social media platform, one could tell that the two sisters gel-like bread and butter. Also, sources say that Felicity is her sister’s support system and has stood by her through thick and thin. Emily Blunt is doing perfectly fine in her acting career and has bagged a lot of awards for her various performances on set. She holds a Golden Globe Award and a Screen Actors Guild Award and has also been nominated twice for British Academy Film Awards. She made her first appearance on set in the television play, The Royal Family and finally landed her big break in the movie, Sunshine Cleaning. She is also quite familiar with her role in the movie, The Devil Wears Prada. Subsequently, in the Hollywood industry, Emily has bagged a lot of other roles and has played perfectly in them all.